A landmark among landmarks that will redefine urban resort living. OUE Twins Peaks offers 2 towers of 36 floors with 462 stylish one-, two- and three-bedroom apartments oozing urban sophistication, get high on life at OUE Twin Peaks. 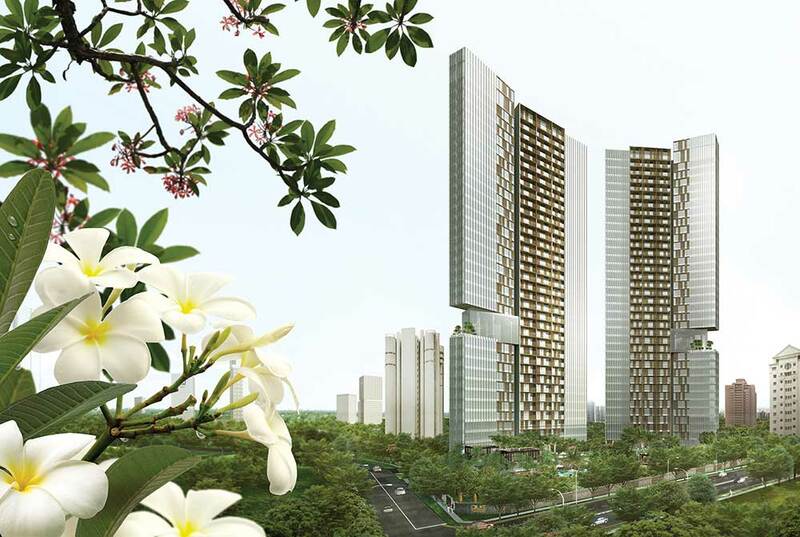 WHY INVEST IN OUE TWIN PEAKS? Brand new, iconic twin tower, luxury condominium development conveniently located in prime district 9, in the heart of Orchard Road. Prominent landmarks in the neighbourhood include Mandarin Orchard Hotel, Takashimaya (Ngee Ann City), Paragon, Wisma Atria, Orchard MRT Station and ION Orchard. Twin Peaks offer an exceptional quality lifestyle with designer masterpieces and five-star hospitality services for their privileged residents. Ideal for investors and owner occupiers seeking a prime city apartment in Singapore.